Cities: Skylines and Hearts of Iron round out the upcoming cardboard tour of the publisher's catalogue. Paradox Interactive is developing and publishing board games based on four of their major game series: Europa Universalis, Crusader Kings, Hearts of Iron, and Cities: Skylines. Announced today at Paradox’s annual PDXCon event, the games will be developed by established designers in the board game space. The board games are designed to be thematically and mechanically inspired by their video game counterparts. Paradox spokespeople said that the games have been a long time coming, citing internal research that some 40% of their players actively play hobby board games, with 20% playing once a week or more. “People approach us and ask if they can make these games,” said Paradox VP of Business Development Shams Jorjani about the decision. Jorjani noted that it was an attempt to expand Paradox Interactive’s mostly historical brands, which are otherwise much harder to license than character-driven intellectual properties, saying his team was on a “mission to expand the IP.” The games will release in the coming years, with most citing a prospective 2019 release date. Coming first is Crusader Kings, developed and published by Swedish tabletop games publisher Free League. Launching on Kickstarter today, Crusader Kings is an area control game with a strong character element. Much simplified from the video games, from a hands-on demo of the game it’s clear that it maintains much of the quirkiness and flavor that drive the series. Crusader kings will play 2-5 and take 2-4 hours to complete, depending on scenario. Cities: Skylines is an entry-level board game by Nations designer Rustan Håkansson. 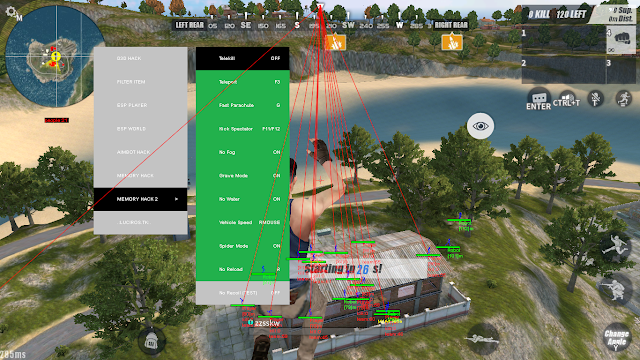 It’s a game of placing buildings on a modular map where players cooperate to build a city, but score individually for pleasing their various constituents in the process. It’s for 2-4 players and plays in about an hour. It has scaling complexity and will likely appeal to a very broad audience. Europa Universalis and Hearts of Iron are the two games least developed as of yet. 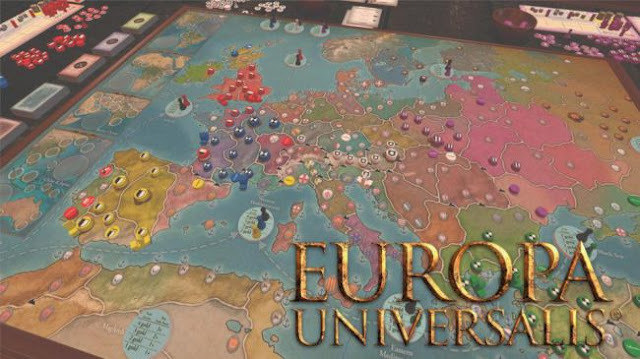 Europa Universalis, developed by Eivind Vetlesen of Aegir Games, is a game with a huge map, lots of bits, heavy resource management, and historical events designed to play in 4-6 hours with 2-6 players, with solitaire play possible but unconfirmed. Hearts of Iron is a strategic-economic wargame designed by veteran Glenn Drover and newcomer Xander Ex, to be published by Eagle-Gryphon games. It’s currently planned to come in two parts, one for 2-4 players and another that adds the eastern front and two more players as Russia and Turkey. Eagle-Gryphon is aiming for a Kickstarter launch in spring 2019. The vision and scope of the entire project are quite large. While it’s not unheard of for video game studios to release board games, or license tie-ins, a company driving what would be a full year’s lineup for any mid-size board game publisher is certainly unusual. Jorjani noted they were keeping their expectations in check. “We are not having delusions of grandeur, that we’re disrupting the board game market,” he said, saying that the people who work at Paradox simply really love board games and that partnerships with multiple designers and companies enabled Paradox to push such a large lineup all at once. Paradox Development Studio has a history with tabletop gaming, given that Europa Universalis was originally an adaptation of the 1993 monster board game of the same name by designer Philippe Thibaut. In 2015, Paradox publicly renewed their tabletop cred by buying White Wolf Games and its attendant World of Darkness games. Astute readers will also remember that this is not Paradox’s first direct foray into board games, as they granted a 10-year-old kid the license to create a Magicka card game in 2016. Stay alert for more, including hands-on impressions and previews of these games, coming to PC Gamer’s board games channel in the coming week.